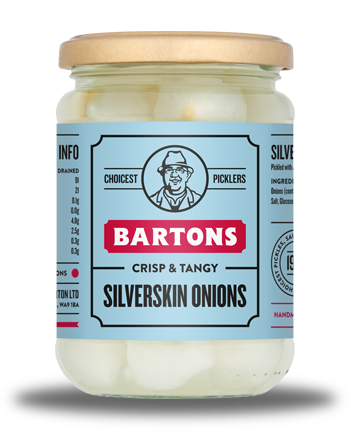 Bartons Silverskin Pickled Onions in Vinegar is a pickle of onions preserved with vinegar and salt. 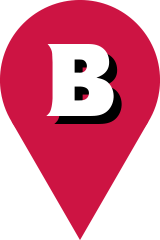 Pickled Onions are frequently eaten alongside Traditional English Fish and Chips or as part of a Pub ploughman’s lunch. These small white pickled onions are known as ‘silverskin’ onions, frequently used as an essential component of the Martini cocktail or see on sticks known as the ‘Party Onion’. They are also available in sweet vinegar. For those who need more than a jar, we also have catering sizes. Silverskin Onions, Water, Vinegar, Salt, Flavouring.